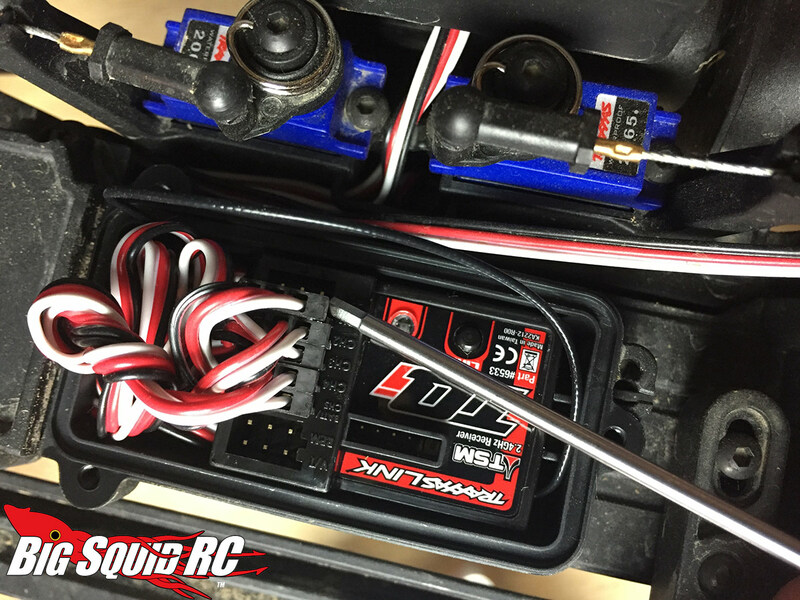 Upgrading the Servo in a Traxxas TRX-4 « Big Squid RC – RC Car and Truck News, Reviews, Videos, and More! 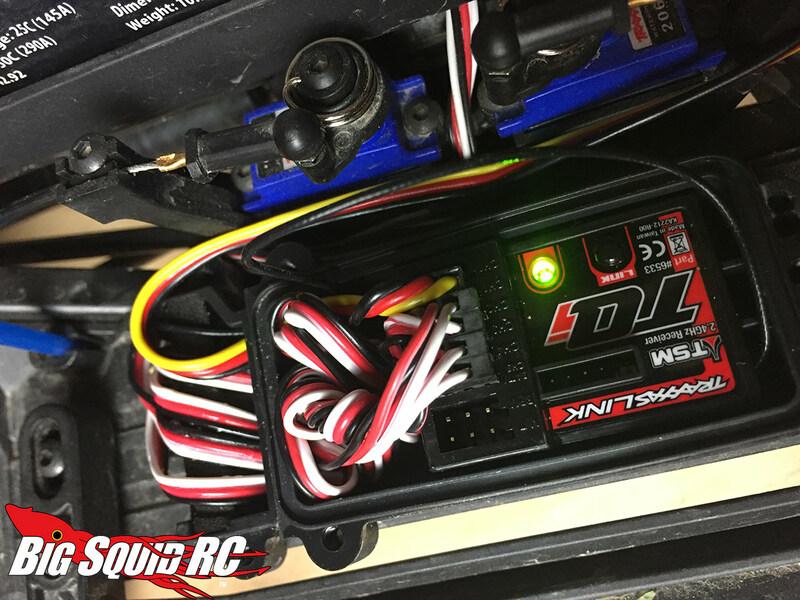 The Traxxas TRX-4 is a great vehicle out of the box, but there is always room for improvement. The most effective upgrade that you can do over stock is upgrading the steering servo to a more burly unit. Here, I’ll show you how. 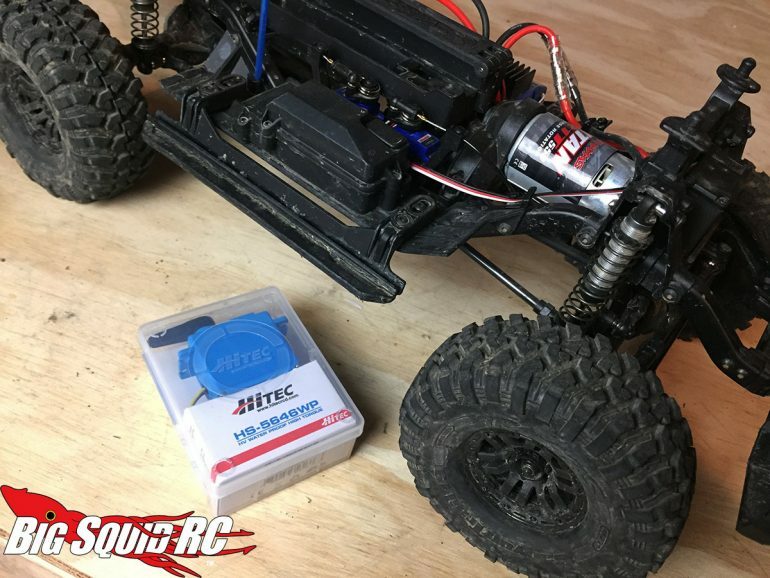 The Hitec HS-5646WP has proven itself time and time again in my scalers since I started using them in late 2013, and I’m hoping it will be just what the doctor ordered to beef up the crawlability of the TRX-4. 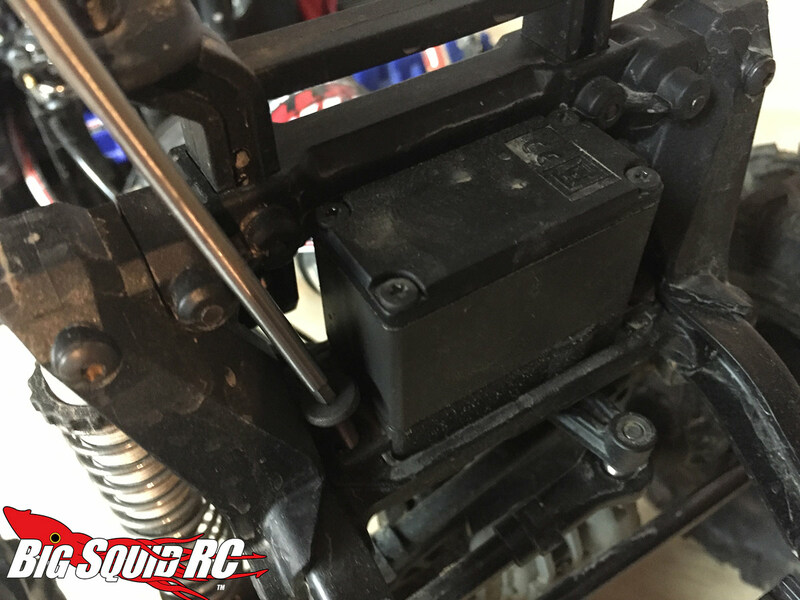 It’s important to note that this servo is waterproof; something of ultra-importance if you intend to go trailing in the mud or water. Start by removing the OG servo. 4 screws hold it in place and they are very easy to get to. 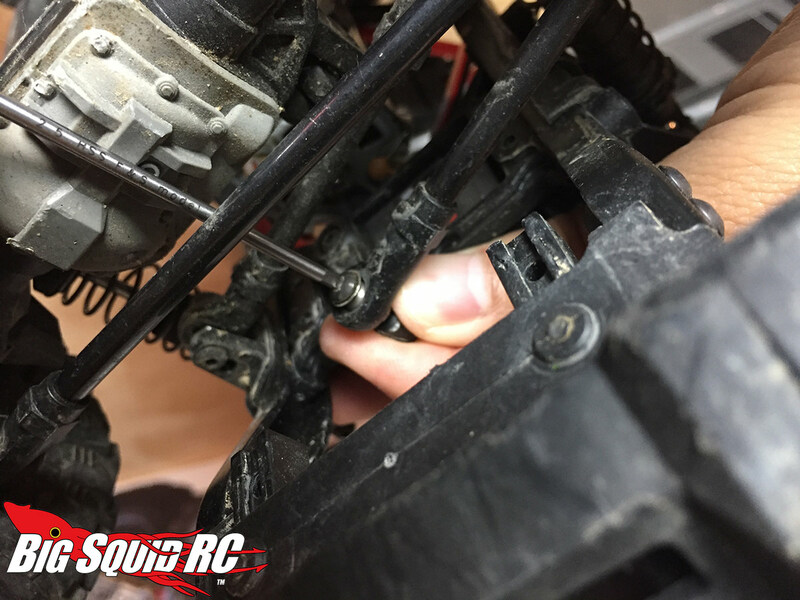 To fully remove the servo you’ll also have to take the screw out of the linkage/servo horn. Flip the truck over and you can remove it with little hassle. With the servo removed, you’ll need to be able to access the receiver. You’ll need to remove the two parts of the receiver box cover. As you can see from the pic above, despite continuous water running the box has kept completely waterproof and the RX looks brand new! You’ll want to re-plumb the wire in the same way that you take it out so that your setup remains waterproof. Also, note the plug that I’m pointing out with the screwdriver as that’s the steering servo hook-up. 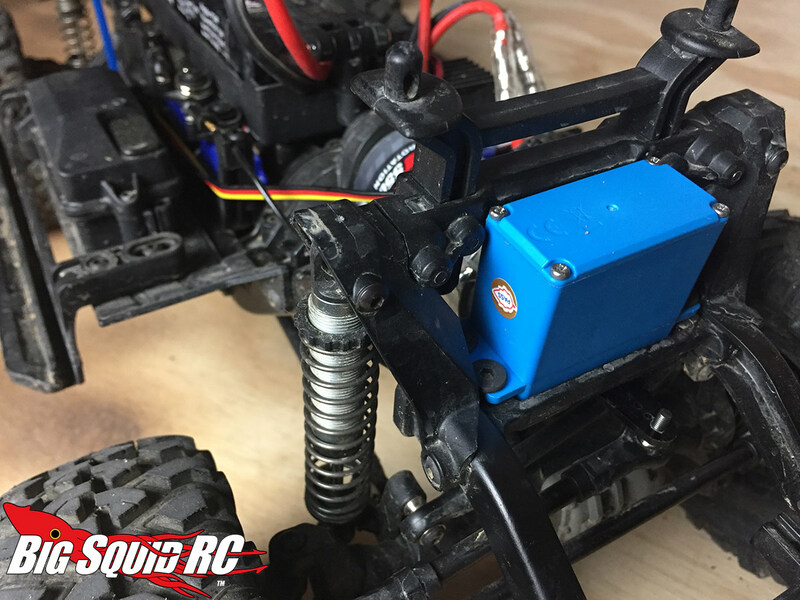 Disconnect it and now you can set aside your servo. Size comparison here between both units. The Hitec is slightly bigger but fits perfect. You’ll want to set the horn on the new servo in the same direction as the stock unit. 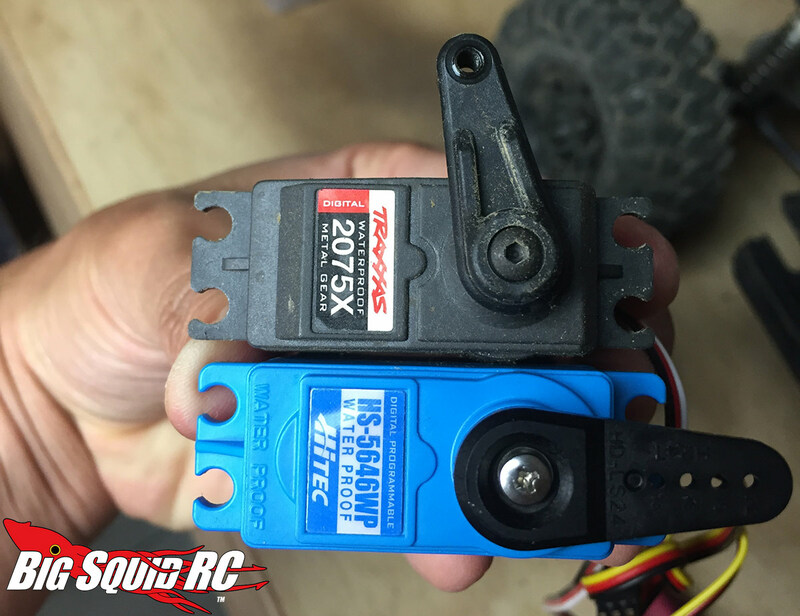 Just be aware that Hitec servos are 24 tooth whereas Traxxas are 25. If you intend to go with an aftermarket horn, you’ll want a 24. In my case though, I just used the horn that comes with the HS-5646WP by removing it, rotating it to the correct “home” position, and then slightly reaming out the top hole so that the stock steering hardware screw can thread through it. The new servo is now alive! As mentioned before, plumb it correctly through the electronics box and then reinstall the covers. Reinstall the steering linkage to the horn, attach the 4 mounting screws to the servo case and voila- you now have a Hitec-equipped TRX-4 that’s ready to rock. 1: Turn on the radio and vehicle. 2: Press and hold down the “MENU” button on the top of your transmitter until the light starts flashing green. 3: Tap “MENU” one time and then hit the “SET” button 3 times in a row. 4: Power the transmitter off and then back on. You should now have the steering servo reversed. Ok, NOW you are finished. Enjoy!